Eric has already made a name for himself at 24 years of age. He is a fast pace high energy comic that doesn't allow the audience to breathe with his razor sharp delivery. 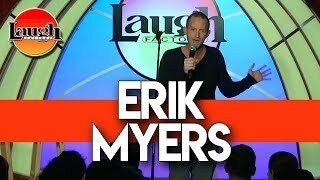 Erik has made several television appearances and can be seen presently on "Comedy Central" and "Loco Comedy Showcase".